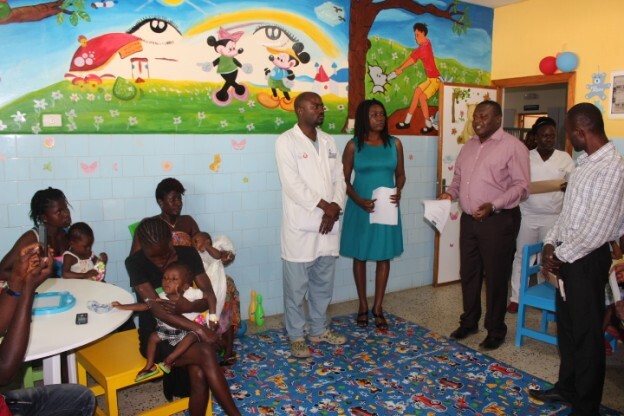 A new playroom has been turned over to the St. Joseph Catholic Hospital management by Project Liberia Support. 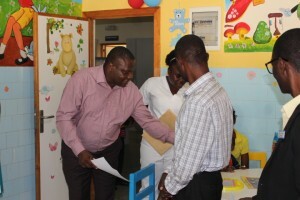 The playroom is to be used by children admitted to the pediatric ward for recreation during recovery. 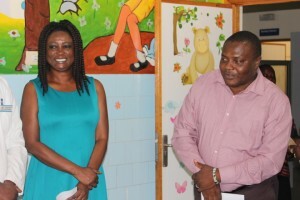 At programs marking its official turnover, Project Liberia Support representative Madam Massa Clemens Isaac pledged her organization’s continuous support to the project through the donation of books and toys. Project Liberia Support, formerly Project Liberia Ebola is a US based nonprofit organization committed to helping economically disadvantaged and underprivileged children and families in Liberia and West Africa. Headed by its president Dr. Kondeh Greaves, Project Liberia Support comprises a team of professionals, with Mrs. Amanda Mathies Thomas as its vice president-USA, and Ms. Veda Nyoth Simpson as its vice president-Liberia. Also on the team are Mrs. Makula Yekeson Johnson as secretary, Dr. Iyabode Beysolow as treasurer, Ms. Quina Gibson as Project manager and Mrs. Memezie Peabody Kiadii as member. Since 2014, Project Support Liberia has donated medical supplies to over 25 clinics and hospitals in 8 counties in Liberia.